Hannah Anderson reframes parenthood from choice to vocation. Understanding parenthood as vocation, rather than choice, also helps us understand what happens after a child comes into our lives. It’s no surprise that a society that views parenthood as personal choice would also be a society of helicopter parents and adults scheduling children’s waking hours full of organized play and intentional activity. If we believe that we can control and manage when and how we bring children into the world, we’ll also believe we can control and manage them as they navigate it. I spent last weekend at Hutchmoot, the annual gathering of our friends at The Rabbit Room, and there we feasted our eyes, ears, minds, and souls on good works. Oh, and our tastebuds and bellies, too. John Cal, the chef of Hutchmoot, shared his gift with us, and with each meal came a story. This year’s stories all held themes around John’s relationship with his dad. As we strive to grow in our families, may John’s words bring you courage. At restaurants, he tried to get me to order for him—a request for help which, in my snobbery, I refused. So he eventually just started saying, “I’d like a steak,” when the server would come to take his order. “I asked Jesus to help me wait and he did!” My heart overflowed with joy as we praised God for his answer to this prayer, because sometimes it’s hard for me to tell if my example is making a difference. Are the endless repetitions of prayers and practicing and talking really registering with her? Today, I had renewed vision and encouragement because yes, she is starting to “get it.” Many times we’ve prayed with her to ask Jesus to help her obey, be kind, calm down. In this one instance, she took the initiative to do this on her own. If you’re a family that wants a a spice of spookiness in your October, then this list is for you! Check out this recommendations from Kathie MacIsaac at Imagination Soup. Do you like to read a book that makes you pull the covers a little tighter around you? Do you enjoy a story that gives you goosebumps, or requires you to sleep with the light on? Many kids love scary stories with ghosts and supernatural forces, but I also like a dark and emotional tale that tugs at my heartstrings. Here are my all-time favorite spooky reads, some which are downright scary, but all of which leave the reader wanting more. Tyrel Bramwell explores the comforting feeling we get when we read certain books. There is a warm feeling that I sometimes get when reading a well-written story. It’s a comforting feeling that comes with the curiosity of not knowing what might happen next. It comes with it, but not from it. It comes from the recognition that though I don’t know what is going to happen next, someone does—the author. Have you ever had that feeling while reading a story? It’s buried in the understanding that even in the midst of confusion and chaos, while the antagonist causes disruption and disorder in the lives of the characters, you’re safe. You know we love a beautiful book around here, and Laura Peterson is with us again today recommending one of her favorites. S.D. 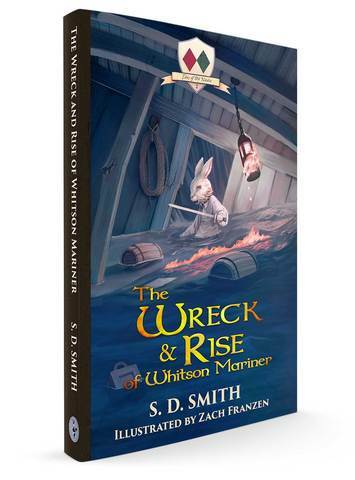 Smith’s newest book, The Wreck and Rise of Whitson Mariner, is available to pre-order now! This thrilling follow-up to The Black Star of Kingston is another swashbuckling adventure featuring the intrepid #RabbitsWithSwords. Set sail for high adventure in Tales of Old Natalia 2! Order yours today! Looking for some fall fun? I think the season is really starting now, so here you go! When I lived up in Alaska, I got to know a lot about moose and they quickly became one of my favorite animals. 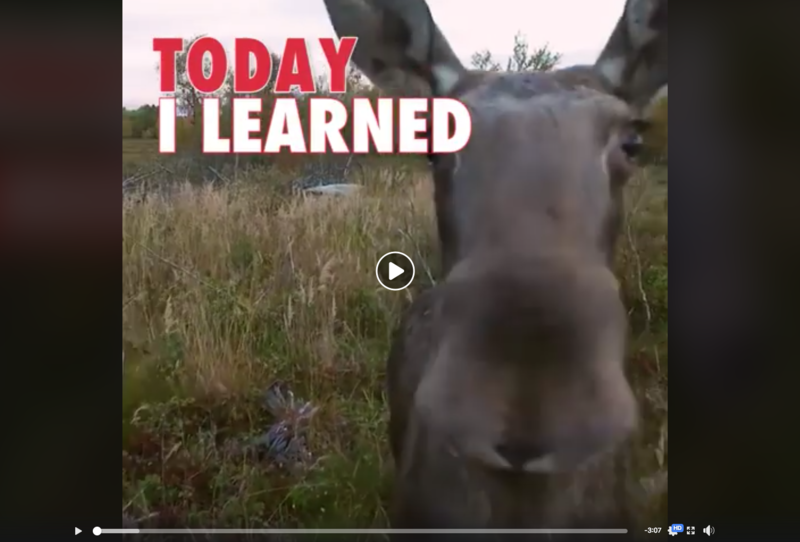 Here’s a fun video full of moose facts and some entertaining moose antics.